Today, we talk to one of our backers from the Kickstarter campaign – Erica Prewett, CSEP – CEO of A Big To Do Event and current 2015-16 chapter president for the International Special Events Society, Atlanta chapter. We want to STOP horrible internships, for mentors and interns alike! She’s been in the business of creating live events since 1999. 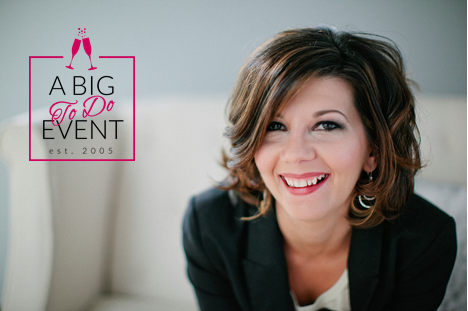 Organizations such as IBM, AmeriCorps, Habitat for Humanity, United Way of Mississippi as well as hundreds of brides and families have experienced stress-free weddings, social and corporate events because of this Checklist Queen. We find out her best life hacks, insider tips for planning events and she will reveal the biggest reason she decided to back The Apprentice Program by The Simplifiers! Hi Erica! What led you to a career in the events industry? When I was in college, I was an AmeriCorps volunteer and we were asked to identify one of the agencies our program office served and commit our appointed number of volunteer hours to them. Well, I couldn’t find one organization that tugged at my heart strings any more than the others. So I created a program in which when any of the organizations wanted to have a celebration or gather more troops than normal (maybe they were having an extra special Build a House Day), they would call me! Quickly, I became the go-to girl for anything organizational and celebratory. Volunteer Appreciation Dinners, Sponsor Thank You lunches, you name it. Fast forward to Mississippi State University – I worked for a caterer during the football season and the President of the University found out how happy my other box holder clients were that he requested that I manage his Game Day Suite activities. When I graduated from college, I got a sales job because I didn’t understand that you can graduate school and start a company doing what you made money doing in college. I was great at that job but didn’t get to see the guy I moved to Atlanta for. So I threw his mom a birthday party and realized that I still “had it”. I quit my job 2 weeks later and opened A Big To Do Event. So what do you think are the most important skills you need as a mentor for event interns? I have always found that being patient and understanding (and remembering) that the average adult remembers things after the 11-13th time. So when I feel like I’ve said the same thing over and over, I remember that yes, I probably have, and it must just not be 11 or 12 or 13th time yet. What tasks do you typically delegate to your interns at A Big To Do Event? In the office, I have gotten feedback that it was good for the interns when they were able to work on projects that related to the big picture of the company or season…then, they got to really own a piece of an event that happened within that season. So I usually have them update master client lists and attend new client meetings. Then, when we are awarded a piece of business, they get to work on a piece of that event. They like knowing who they are helping. What’s your very best life hack tip you’ve learned along the way as an event planner and a small business owner? I’m a paper and pen girl. (As much as I love technology, my default is to write it down.) I keep a small calendar book (you know, like the one your mom used to keep in her purse to write appointments in) in my center console in my car. When I get in my car for client appointments/site visits/vendor lunches I write down my starting mileage and rough agenda of the day and then when I pulled back in the driveway I write down the ending mileage. This has been very helpful in the mileage piece when it comes to tax time. We have to ask: what is the biggest reason you became a backer for The Apprentice Program by The Simplifiers? I believe that the more of us support each other, the best ideas will come to fruition. Training the next set of wedding and event professionals to have the same set of standards and ethics only helps the industry as a whole. Support from backers like Erica shows that you all believe in us and in The Apprentice Program… so thank you!